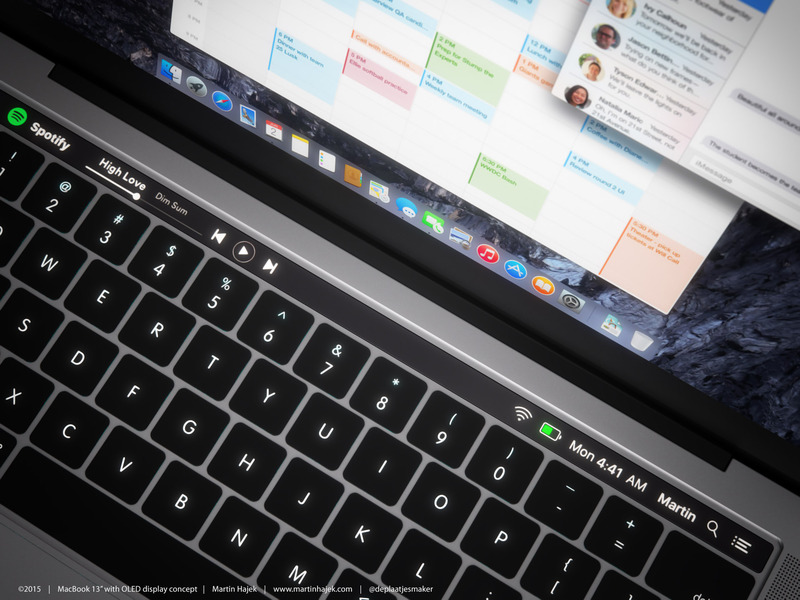 Bloomberg threw its weight today behind rumors that a next-generation MacBook Pro would have Touch ID and an OLED touch strip with programmable shortcuts replacing the function key row, among other features first predicted by KGI Securities analyst Ming-Chi Kuo. 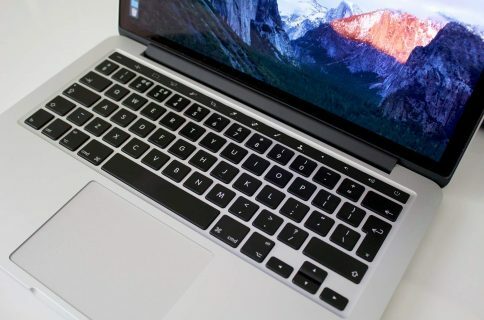 Author Mark Gurman now writes for Bloomberg that the new MacBook Pros represent “the most significant upgrade” to the lineup in four years with the updated, thinner notebooks offering more powerful graphics processors “for expert users such as video gamers” and design features like a smaller footprint, thinner appearance, a bigger trackpad and more. The most significant addition to the new MacBook Pro is a secondary display above the keyboard that replaces the standard function key row. Instead of physical keys, a strip-like screen will present functions on an as-needed basis that fit the current task or application. 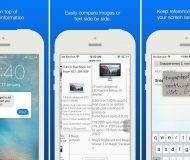 Apple’s goal with the dedicated function display is to simplify keyboard shortcuts traditionally used by experienced users. 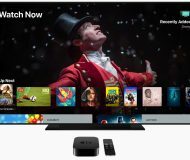 The panel will theoretically display media playback controls when iTunes is open, while it could display editing commands like cut and paste during word processing tasks, the people said. The display also allows Apple to add new buttons via software updates rather than through more expensive, slower hardware refreshes. 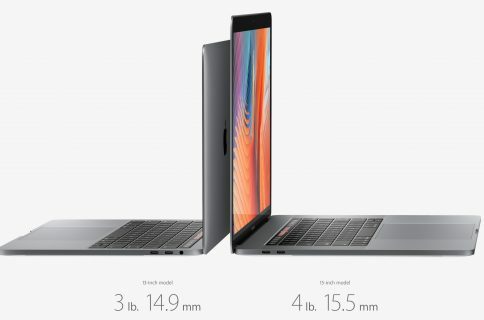 The notebooks have a smaller footprint and are slightly thinner than the current ones, but won’t have tapered design like the MacBook Air. 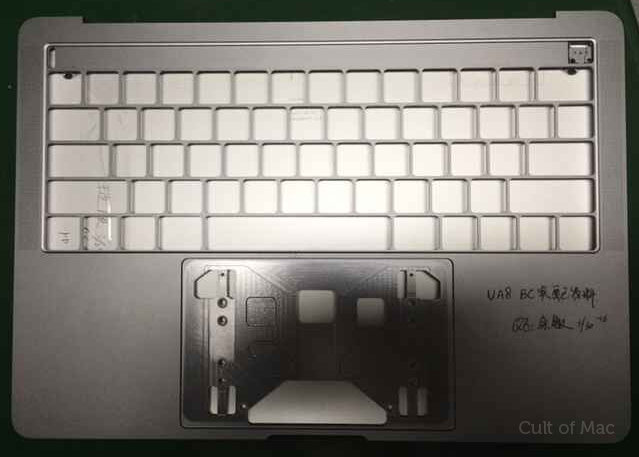 The casing reportedly has shallower curves around the edges and the trackpad is slightly wider. The report adds that Touch ID fingerprint verification will come standard on the new machines. As we previously reported, the fingerprint sensor could be integrated into the notebook’s Power button. 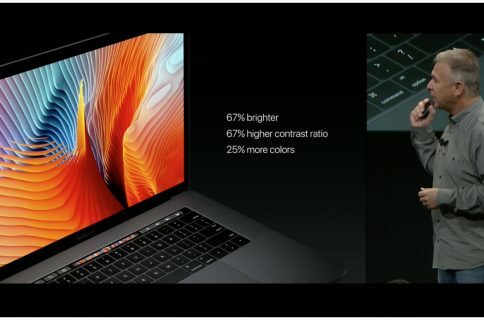 “Like with iPhones, the new Pro laptops will encrypt fingerprint data so it can’t be removed from the devices,” adds the report. On iPhones and iPads, fingerprint data is kept within the Secure Enclave, a dedicated cryptographic processor which Apple embedded into the main system-on-a-chip. The iPhone’s making chip cannot directly access any encrypted data from the Secure Enclave. If Apple were to offer the same level of protection for fingerprint data on the new MacBook Pro, the machine might easily feature its own Secure Enclave. That, in turn, could suggest that the new machines might ditch Intel processors and run a custom Apple-designed chip like on the iPhone and iPad. Leaked MacBook Pro chassis “confirms” OLED toucher rumors. Gurman claims fans will be able to buy a built-to-order model with a higher-performance Polaris graphics chip from AMD which offers the power efficiency and thinness necessary to fit inside the slimmer notebook, the person said. Other rumored features of the upcoming MacBook Pro refresh include USB-C and Gray, Gold and Silver finishes. The upcoming machines have reportedly been in “advanced testing” within Apple since earlier this year and are not likely to debut at an iPhone event currently scheduled for September 7 (our guess: October). MacBook Pro OLED concept top of post via 3D artist Martin Hajek.